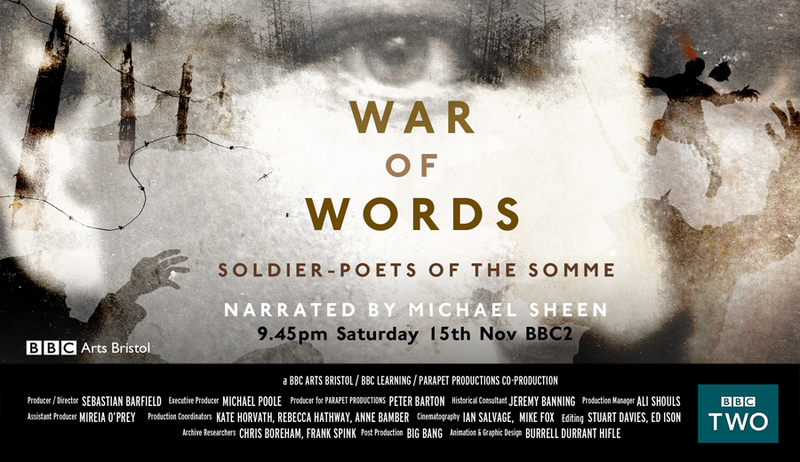 I spent much of 2013 working as historical consultant for the upcoming BBC Two documentary ‘War of Words – Soldier Poets of the Somme’. A special preview is being shown as part of Bristol 2014 at the Watershed at 1800 hrs on 5 November. The 90 minute film will be shown in its entirety followed by a short break and then what we hope will be a lively panel debate. Panellists are myself, Peter Barton, the film’s director Sebastian Barfield, Richard van Emden and Jean Moorcroft Wilson. The evening is now fully booked. 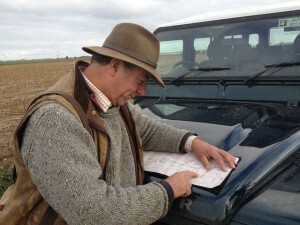 The film’s presenter Peter Barton at Regina Trench on the Somme. It was here that J.R.R. Tolkien, creator of Lord of the Rings and The Hobbit served in October 1916. Edit (4 November): I have now heard that broadcast date will be Saturday 15 November but have no TX Card or further details. I will update my website and Twitter feed when I know this.